via our pal Mark Gravel. 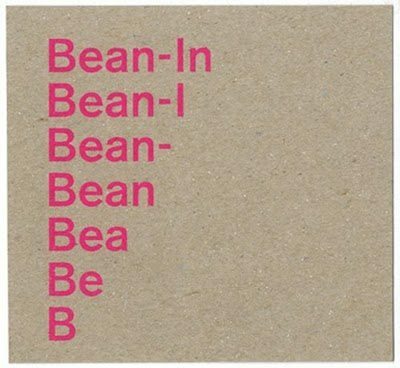 bean-in is a temporary free restaurant that is happening from 9am to 9pm on tuesday, april 20th at california college of the arts in the graduate center atrium. bean-based meals will be served over the course of a twelve-hour happening. bean-in examines conviviality, adaptability, and agriculture as forms of resistance through micro-lectures and conversations. bean-in has been constructed by mark andrew gravel, sarah magrish cline and natasha wheat. all meals and lectures will be free of charge.